Bop Scotch, 1952, 16mm, color, sound. Head credit: Made with Patricia Marx. 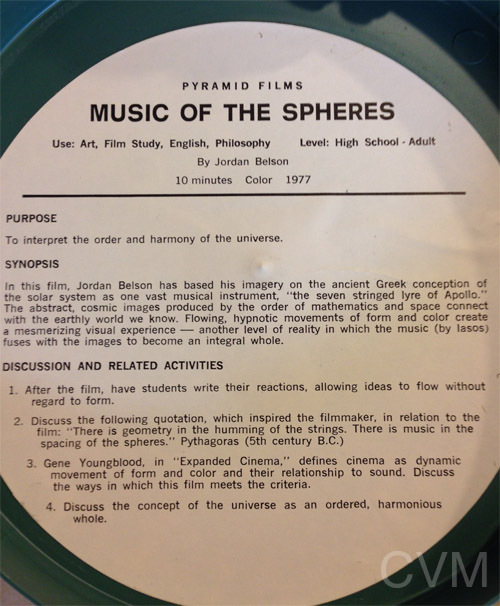 Allures, 1961, 16mm, color, sound. Sound: Jordan Belson and Henry Jacobs. 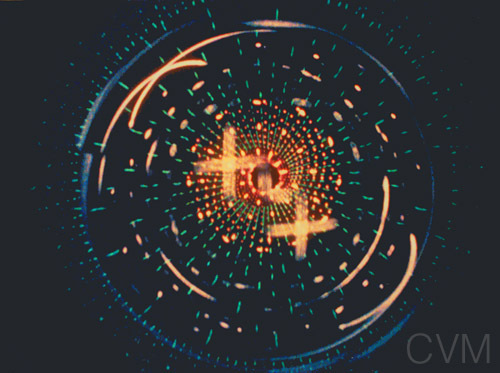 Samadhi, 1967, 16mm, color, sound. (Guggenheim Fellowship). 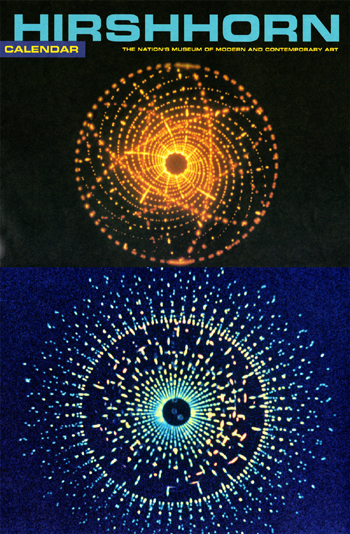 Northern Lights, 1985, color, sound. Sound: John Luther Adams. Mysterious Journey, 1997, color, sound, 30 mins (completed on video). Music: Arya Bruce BeeVar, Dawn of Awakening; Somei Satoh, The Heavenly Spheres are Illuminated by Light; Mychael Danna, Sky 9; and Raphael, Resurrection. Commercial for San Francisco Chronicle. (c) Center for Visual Music. Compiled by C. Keefer/CVM (with Jordan Belson until 2011). Last updated, 2019. PLEASE Credit Center for Visual Music if you link to or quote directly from the page, thank you. Top image from Samadhi, (c) Jordan Belson. All stills from films (except Phenomena) are copyright CVM, please seek permission before reproducing. .